"With the second pick in the 2012 NFL Draft, the Washington Redskins select Robert Griffin III, quarterback from Baylor University." Washington has already adopted Griffin as one of its own, but now it's official. Griffin will in fact be the quarterback of the future for the 'Skins. 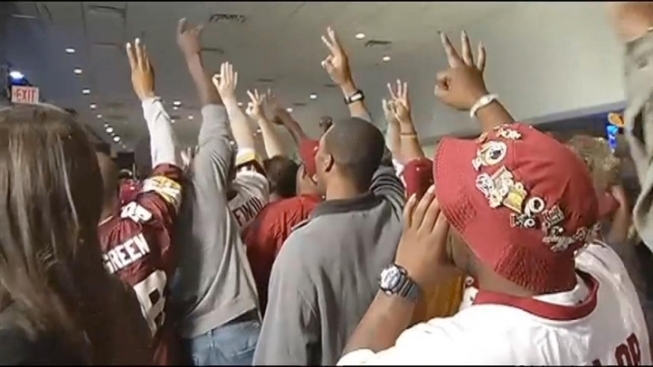 Grab your "Griffin III No. 10" jerseys now. Welcome to D.C., RGIII. You're one of us now, which means that your every move will be put under a microscope by discouraged fans clad in burgundy and gold that have had nothing to root for in quite some time. 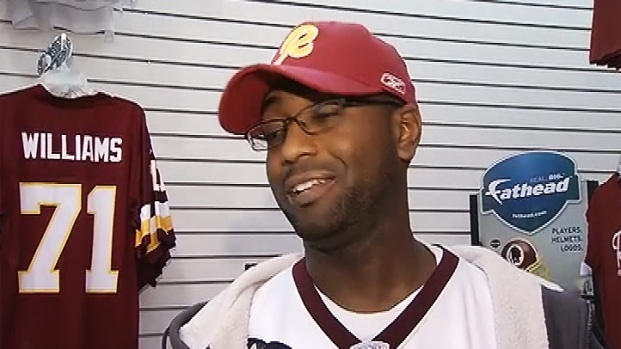 Fans are gearing up and getting ready for Robert Griffin III to become an official Washington Redskin. Other than that, make yourself at home! 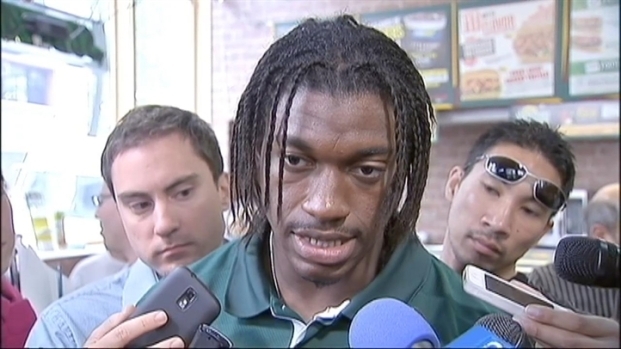 Dan Hellie chats with Robert Griffin III at a New York City Subway.